Aprotinin, also known as bovine pancreatic trypsin inhibitor, BPTI (Trasylol, Bayer) is a protein, that is used as medication administered by injection to reduce bleeding during complex surgery, such as heart and liver surgery. Its main effect is the slowing down of fibrinolysis, the process that leads to the breakdown of blood clots. The aim in its use is to decrease the need for blood transfusions during surgery, as well as end-organ damage due to hypotension (low blood pressure) as a result of marked blood loss. The drug was temporarily withdrawn worldwide in 2007 after studies suggested that its use increased the risk of complications or death. Bristol-Myers Squibb Company and Pfizer Inc. today announced that the U.S. Food and Drug Administration approved a Supplemental New Drug Application (sNDA) for Eliquis (apixaban) for the prophylaxis of deep vein thrombosis (DVT), which may lead to pulmonary embolism (PE), in patients who have undergone hip or knee replacement surgery. While there is an expectation that newer medical practices improve the standard of care, the history of medicine reveals many instances in which this has not been the case. Reversal of established medical practice occurs when new studies contradict current practice. Reporters may remember hormone replacement therapy as an example of medical reversal. A new analysis published in Mayo Clinic Proceedings documents 146 contemporary medical practices that have subsequently been reversed. Bristol-Myers Squibb Company and Pfizer Inc. today announced that the U.S. Food and Drug Administration has accepted for review a Supplemental New Drug Application for Eliquis (apixaban), for the prophylaxis of deep vein thrombosis, which may lead to pulmonary embolism, in adult patients who have undergone hip or knee replacement surgery. Bristol-Myers Squibb Company and Pfizer Inc. announced that the U.S. Food and Drug Administration (FDA) approved ELIQUIS (apixaban) to reduce the risk of stroke and systemic embolism in patients with nonvalvular atrial fibrillation. Baxter International Inc. announced today that the U.S. Food and Drug Administration (FDA) has approved TISSEEL [Fibrin Sealant] to include general hemostasis in surgery when control of bleeding by standard surgical techniques is ineffective or impractical. Baxter International Inc. announced today the results of a phase III study evaluating the safety and efficacy of ARTISS in 75 patients. Angiochem, Inc., a clinical stage biotechnology company, today announced that its second patent has been granted by the U.S. Patent and Trademark office. Patent number 7,902,156, is entitled "Aprotinin Polypeptides for Transporting a Compound Across the Blood-Brain Barrier". Pediatric cardiology researchers and clinicians gather this week in Scottsdale, Ariz. for Cardiology 2011, the 15th Annual Update on Pediatric and Congenital Cardiovascular Disease, sponsored by The Children's Hospital of Philadelphia. Original research from more than 30 cardiac programs in the U.S. and abroad is being presented throughout the meeting. Sinobiopharma, Inc. ("Sinobiopharma") (the "Company") is pleased to announce that the Company received a certificate for the use of Gabexate mesylate as a pharmaceutical raw material (Certificate #2009S01805) from the Chinese State Food and Drug Administration ("SFDA"). QRxPharma Limited,announced today a strategic alliance with Liaoning Nuokang Medicines Co. Ltd. ("Nuokang"), a Chinese biopharmaceutical company based in Shenyang, China, to develop and commercialise QRxPharma's venomics assets for the Chinese market. The risks of death are probably higher with aprotinin, a drug commonly used to control blood loss and transfusions during cardiac surgery, compared with lysine analogues, according to a study to be published in the January 20th issue of CMAJ. The U.S. Food and Drug Administration today approved a new medical adhesive (a fibrin sealant) called Artiss for use in attaching skin grafts onto burn patients. A new finding in liver transplantation and antifibrinolytics? Orthotopic liver transplantation (OLT) is associated with severe bleeding and considerable transfusion requirements. The largest study to date of a controversial cardiac surgery drug shows it increases death rates and damages kidney function, according Duke University Medical Center researchers. Last week, FDA was notified that a Canadian research group stopped a study on Trasylol because the drug appeared to increase the risk for death compared to the other antifibrinolytic drugs used in the study. Antifibrinolytic drugs help slow the breakdown of blood clots and subsequent excessive bleeding. The amount of blood loss that occurs during major complex surgery is limited by the body's ability to form blood clots. The Cardiovascular and Renal Drugs Advisory Committee and the Drug Safety and Risk Management Advisory Committee to the U.S. Food and Drug Administration (FDA) held a meeting to discuss the risk /benefit profile of Trasylol (aprotinin injection), a Bayer drug used in coronary artery bypass graft (CABG) surgery. 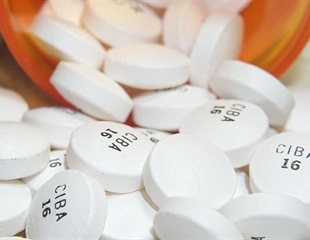 Contrary to recent studies, proper use of a drug called aprotinin to reduce bleeding during heart surgery does not increase the risk of heart attack or stroke, according to a study in the June issue of The Journal of Thoracic and Cardiovascular Surgery. The study was prompted by recent reports suggesting an increased risk of complications including heart attacks, strokes, and kidney problems in patients who received aprotinin to reduce bleeding during heart bypass or valve replacement surgery.